Blessed with a phenomenal memory, George Kunz in his later years began writing down the recollections of his Depression upbringing. For years these anecdotes were published regularly in the Buffalo News. Other observations on education and the general scene made their way into the Wall Street Journal, Buffalo Spree and Reminisce Magazine. Happily for all of us, most of these articles are here collected. 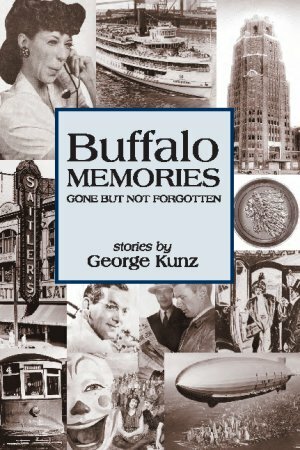 Born in 1923 in South Buffalo, George Kunz graduated from Holy Family School in 1937 and from South Park High School class of 1941. He received his Bachelor of Arts Degree and eventually his Master's Degree in Education from Canisius College. After temporary assignments at Hutchinson High School and Burgard Vocational High School in Buffalo, he began a 33 year career at Williamsville South High School where he distinguished himself as a teacher of Latin and English, retiring in 1985. A lifelong interest in travel inspired several trips to Europe with his wife, Dorothy. Of his 5 children, four are happy to be living in the Buffalo area. George Kunz died in February 1995, the result of a traffic accident in Amherst.